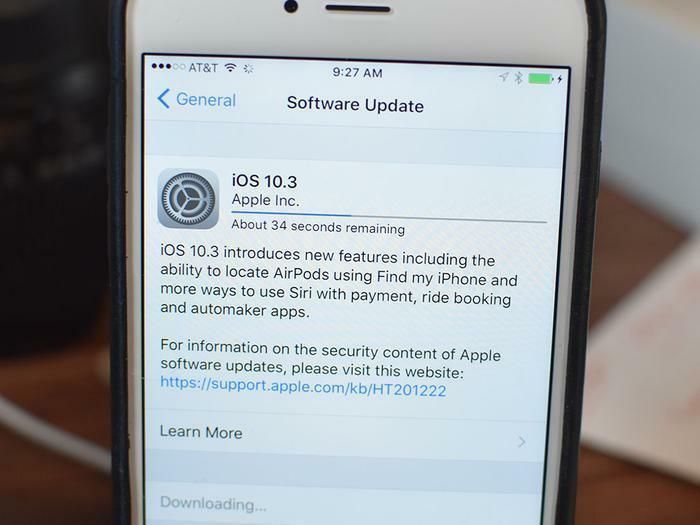 If you have an iPhone or iPad, it's time to download and install the latest upgrade, officially known as iOS 10.3. Perhaps the most interesting feature is that the upgrade frees up space on your device. That's because it replaces Apple's 31-year-old Hierarchical File System (HFS) with a new system dubbed Apple File System (APFS). HFS was originally designed for floppy discs whereas APFS is written with iPhones and other modern devices in mind. To update your iPhone or iPad, go to Settings, General, and then Software Update. Can't be bothered? You can simply wait and Apple will eventually download the update to your phone automatically and ask you to accept it. However you download the file, before you click the Install button, you should back up your existing data (learn how here), since it's possible the conversion to a new file system will result in some data loss. The device should also be plugged in, since the conversion can take quite a while. The primary advantage of the new file system -- which is completely invisible to the average user -- is that it makes better use of the space available on your hard drive. Also, it automatically encrypts all data, making it harder for prying eyes to eavesdrop or make off with your private information. The new software also includes a feature that helps you find lost AirPods, the wireless earphones that are used with the iPhone 7.